Solderless Plug-In Breadboard 0.1 inch - 2.54mm spacing. Ideal for experiments & prototyping. 400 Points. 2 x 30 x 5 commoned points. 4 rows of 25 points. Self-adhesive backing (or can be used free-standing). Ideal for experiments or teaching. 830 Points. 2 x 63 x 5 and 4 x 10 commoned points. 63 rows of 5 points. Self-adhesive backing (or can be used free-standing). Can be used over and over again for prototyping circuits. Useful numbered grid. Accepts IC sockets, ICs and pin strips as well as discrete devices such as transistors, resistors capacitors, LEDs, diodes and many more. 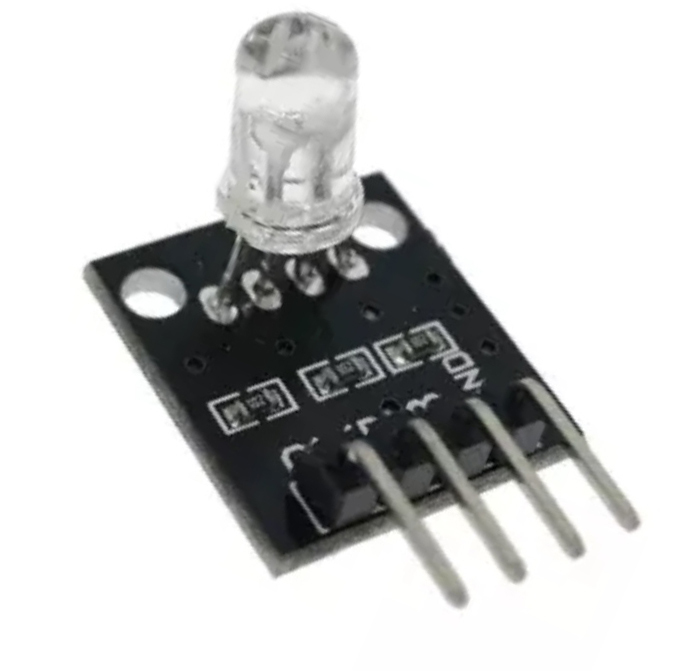 This module is a 2 coloured 5mm LED with a common cathode that will iluminate either Red, Green or Orange (Red and Green together). You will need to use a resistor when connecting to an Arduino. This module has a smalltactile switch that is normaly open and will close when pressed, it has a resistor connected in series with the switch so it can be used directly with a digital input on an Arduino when powered by 5VDC. This module is a simple active piezoelectric buzzer that will give out a 2.5kHz tone depending when a voltage is applied. This module has a 5V changover relay, protection diode, resistor and LED. This relay will allow the low current outputs from your microprocessor to switch much higher currents and voltage so you can control larger things from a digital output pin. This module has a 5MM RGB LED that can be used to create virtually any colour by varying the intensity of the 3 colours by using the PWM output to each pin. Resistors will be needed to connect to an Arduino.